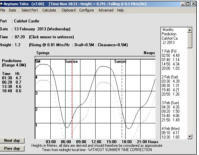 Tides & Tidal Streams v10.3.3 The Neptune tidal stream program provides tidal heights and a dynamic tidal stream atlas. 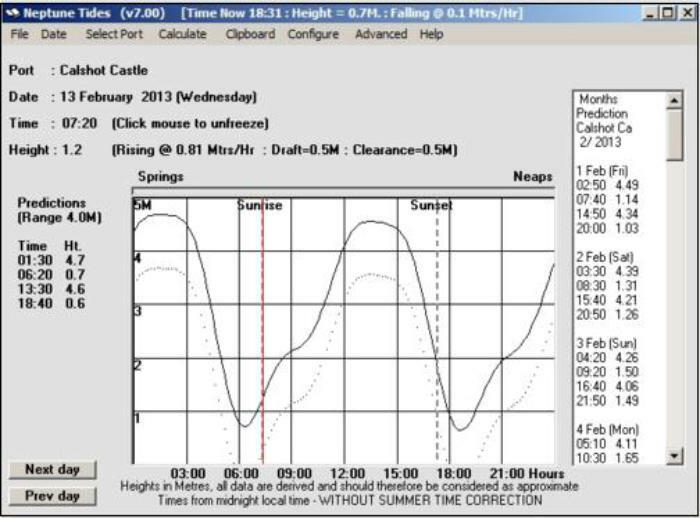 Choose your date with a couple of mouse clicks then step through half-hour at a time. 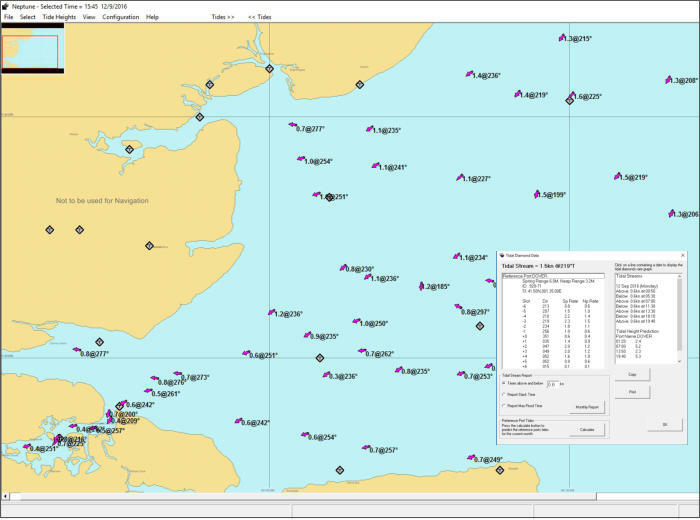 The atlas instantly updates to give you a quick overview of tidal patterns as they change. 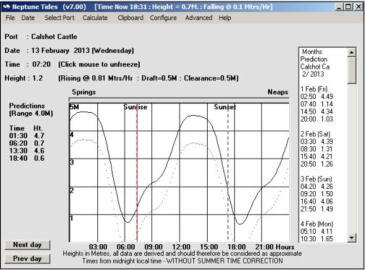 Set and drift figures are displayed for every tidal diamond, together with stream arrows. 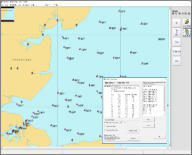 This comprehensive software offers animated Tidal Heights and Tidal Streams using Outline cartography. 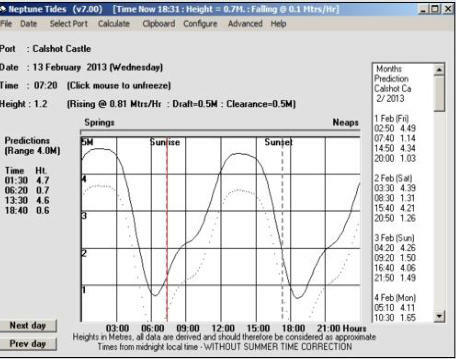 The software incorporating Neptune's Tidal Heights program. 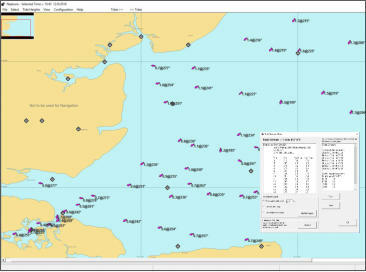 Configurable options for Tidal Stream colours and size, also displays tidal Stream reports. Touch screen or mouse input. 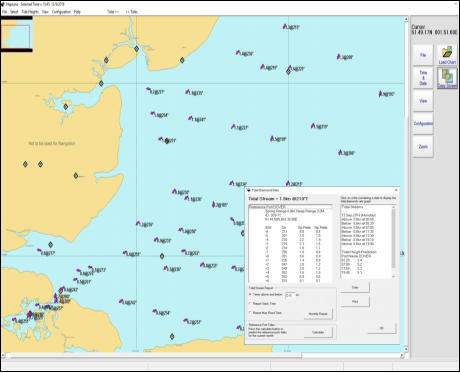 Data derived from UKHO sources.